No, only guides who want to apply for a Recreational, Hunting, Fishing, Sea-Kayaking or Tide-Water are required to go through this process. 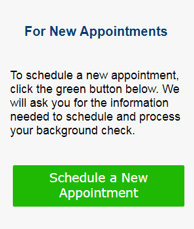 How do I submit to a Criminal History Records Check [CHRC] as a first-time applicant? When can I send my guide application in? Do not send in your guide license application until you receive a letter from Maine Warden Service that tells you whether you are eligible to apply or not. If I am a nonresident applicant how will I have my fingerprints taken? An individual has the right to access or review his or her State of Maine and federal CHRC response. The results may not be released to another party except as permitted under Title 12, section 10908 which states that the information is confidential and is for official use only and may not be disclosed to any other person or entity. The results of the background check will be processed by a DIFW administrative staff person as well as a DIFW Game Warden assigned to this process.